How do we get better at making things people want? We strive to better discern the needs of our customers, so we reach for a number of tools. Surveys. User testing. ‘Jobs to be done’ interviews (an interview process I highly recommend). But in our effort to understand our customers, we often miss sight of something much more basic and integral to those things working well. The University of Edinburgh Medical School, one of the best medical schools in the United Kingdom, was created in 1726, also making it one of the oldest medical schools in the English speaking world. Given its age, it has quite an interesting group of alumni. Like Joseph Bell. He was a graduate and professor at the school in the 1800s. Bell had an uncanny ability to determine things about his patients from what seemed to be unrelated and insignificant details. For example, without even talking to the man, Bell determined one patient was a soldier, a non-commissioned officer, and served in Bermuda. How’d achieve such a feat? Bell had observed the patient walking into the room without taking his hat off, as a soldier would. His authoritative posture and age gave him a clue that he was a non-commissioned officer. And the rash on his head? Could only have come from Bermuda. Joseph Bell’s name probably still doesn’t sound familiar. But you know his alias - Sherlock Holmes. Sherlock Holmes wasn’t pure fiction. Sir Arthur Conan Doyle, the author of the Sherlock Holmes stories, was also an alumnus of The University of Edinburgh Medical School where he trained as a physician. Sherlock Holmes was an amalgamation of people he’d crossed paths with, especially his medical school professors Joseph Bell and Sir Robert Christison. Christison was an early forefather of forensic medicine. In 1828, there was a string of murders in Edinburgh, Scotland. Christison helped prove that William Burke and William Hare had been suffocating their victims and then selling the corpses to medical schools. But Christison was also known for calabar beans. Calabar beans are poisonous, and were used as a justice system in African tribes. They would crush the beans into a milk-like drink for prisoners. Those who died from the drink were “guilty”. Those who lived - innocent. Researchers today find this form of justice might be more accurate than it at first sounds. People who believed in their innocence and the system would probably drink the poison instantly, causing their stomach to immediately vomit and regurgitate the poison, sparing their life. Guilty people, however, believing the drink would kill them, drank slowly trying to elongate their life, but instead dampened their stomach’s ability to reject the poison. Christison knew of the calabar beans’ danger, and yet one day, he took a lethal dose and ingested them. Why? Was he trying to kill himself? Was he trying to prove his innocence of something? If you were anywhere near Facebook or Twitter at the end of February 2015, you’ve seen this photo. 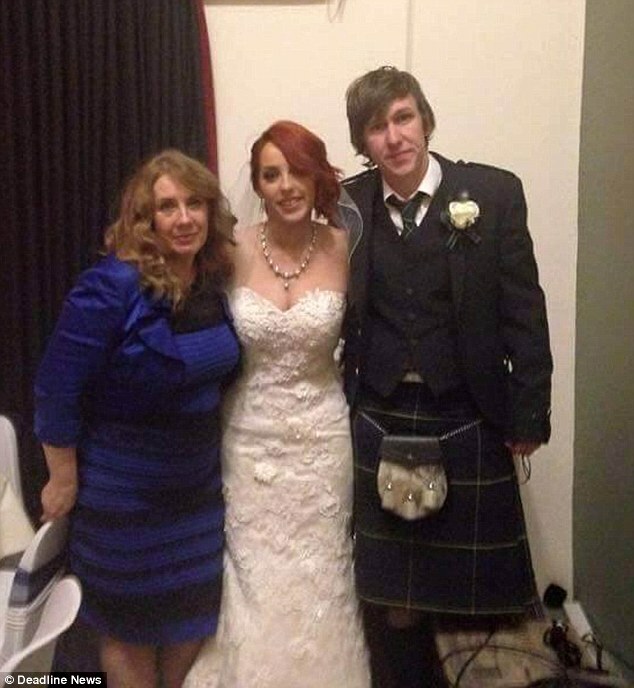 The photo of #thedress was taken by Cecilia Bleasdale, the mother of a bride-to-be, who wanted to show her daughter and bridal party what she’d be wearing at her daughter’s wedding. But they couldn’t tell. 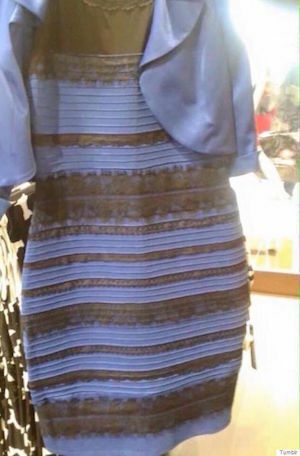 People split into two camps: you saw blue and black or you saw white and gold. The entire internet broke into debate. I watched friends, designers, photographers, neuroscientists, engineers, even magicians dissecting the photo, trying to explain what we were seeing. What I found most interesting about the original photo is the gap it shows between explicit and tacit knowledge. The photograph codified what Grace’s mom saw that day of her dress, and it was easily sent across the globe to millions of people. But so many of us were wrong about what the information actually described. We saw one thing, and it described another. Scientist and philosopher, Michael Polanyi, invented the term “tacit knowledge” in 1958. Tacit knowledge is: “knowledge that is difficult to transfer to another person by means of writing it down or verbalizing it.” It’s knowledge that we can only experience ourselves. Polanyi would describe riding a bike as an example of tacit knowledge. I couldn’t show you how to ride one by teaching you about gravity and centripetal force. I couldn’t even give you step by step directions on the mechanics of how the body needs to pedal a bike for you to succeed. Only after you get on that bike and fall, try again, and fall, will you eventually gain the tacit knowledge you need to ride. We experience this world, but we can’t transmit all of it to others. Even the simple stuff, like a photograph of a dress, can be misinterpreted. We can know more than we can tell. After Christison ingested the poisonous beans, he began feeling the symptoms. Paralysis. He started going blind. He began to die. But Christison grabbed a bowl of water he used to clean his shaving razor and face, and drank it. He immediately began vomiting, which saved himself from the rest of the poison’s effects. Christison lived. Christison wasn’t trying to kill himself. He was trying to bridge the gap between explicit and tacit knowledge. As a doctor, all he’s given is what a patient tells him, or what he can see. Like the photograph of the dress. But he couldn’t read a patient’s mind. He couldn’t tell if a patient was describing correctly how they feel or the history of what they’ve gone through. Christison needed to experience what the actual symptoms were of being poisoned. He needed tacit knowledge to reach his full potential as a physician. Mike Markkula gave two guys $250,000 to fund a business they were running out of their garage, Apple. But Markkula wasn’t just a source of funds. In an interview, Steve Wozniak says Markkula was probably more responsible for the early success of Apple than Wozniak was himself. He chased down more capital. He found the first CEO and become the second CEO when the first left. He was even the one who approved the original plan for the Macintosh. 1) Focus. In order to do a good job of those things that we decide to do, we must eliminate all of the unimportant opportunities. You especially see this play out in Apple’s revival when Jobs returned in 1997. Jobs re-focused the company from dozens of different products and variations (Apple once made printers and game consoles) to just 4 product lines: consumer, pro, desktop and mobile. 2) Impute. People DO judge a book by its cover. We may have the best product, the highest quality, the most useful software etc. ; if we present them in a slipshod manner, they will be perceived as slipshod; if we present them in a creative, professional manner, we will impute the desired qualities. The time and attention Apple spends presenting its products is often unheard of, and the results speak for themselves. 3) Empathy. We will truly understand their needs better than any other company. Markkula chose his words wisely. Just like Christison, he knew that to truly understand a customer’s needs better than anyone else, we need to empathize with them - not sympathize. Listening with sympathetic ears to our customers isn’t enough. Why? That photo shows us why. People can’t communicate everything they experience. Even if they present us with a photo, we easily misinterpret it. And we can’t read their minds. It’s of course not always easy. Some things are difficult to mirror. But if we want to be able to gain the deepest insights from the interviews we have with customers, if we want to reach our full potential as a designer, as a listener, as a human being, we need to improve our ability to empathize. This isn’t just “dogfooding” our products. We need to share the actual life experiences of our customers and neighbors. It’s up to us to poison ourselves. **P.S. You should follow me on Twitter: here for more articles. Or see how we’re poisoning ourselves at Highrise.